Rwanda and Austria will co-host an Africa-Europe high-level forum, scheduled for December 18 in Vienna. President Kagame said yesterday that the two countries are co-hosting the forum because Rwanda is the current chair of the African Union (AU) while Austria holds the presidency of the Council of the European Union (EU). President Kagame was speaking at a joint press conference with Austrian Chancellor Sebastian Kurz who was in the country for a “productive discussion” on bilateral issues and the Forum. President Kagame said the forum will focus on unblocking potential of digital economy as a pathway to inclusion for both continents. At the Forum, more discussions will be held, focusing on investments and partnerships that can bring and continue to bring Africa and Europe together to lead to positive developments on both sides. “We have to soberly look at the problems and try to find a solution. 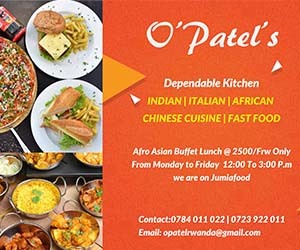 We cant find an easy solution to a difficult problem,” Kagame said. 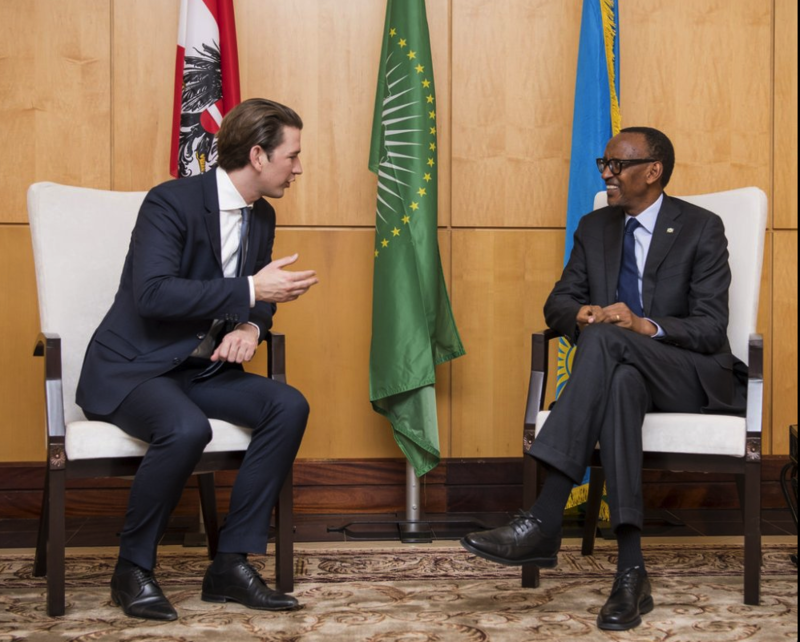 Chancellor Kurz told the press that in his discussion with President Kagame, there was consensus that Europe should begin looking at Africa’s problems differently. That it is not best for Europe to educate Africa how address problems, instead, “Africa needs a strong private sector and positive economic development is the basis for wealth and good living conditions here in Africa,” Kurz said. He pledged increased Austrian investment in Africa and said the Austrian Development Bank will increase its African portfolio to 55 million Euros and a 10 million Euros fund for SMEs with particular interest in Rwanda and Ethiopia.